What’s in conflict here? Islam and the West? Barbarism and Civilisation? Or is it freedom of speech and another, darker freedom- the freedom of religious expression? It’s not entirely clear to the current author what the parameters of this conflict is; indeed, this is a debate that doesn’t divide into neat categories. 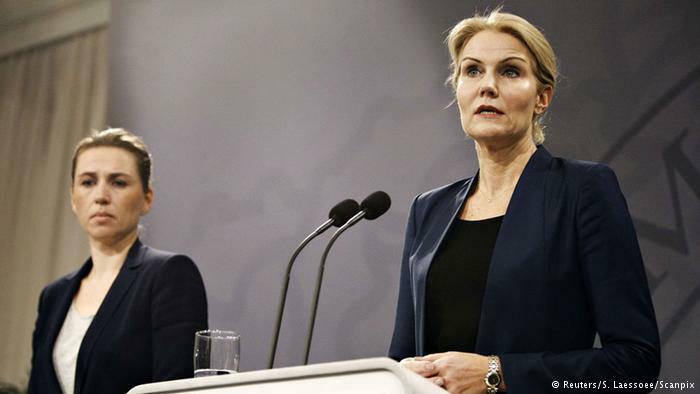 When commenting on the killing of two in Copenhagen, Danish Prime Minister Helle Thorning-Schmidt emphasised that this isn’t a fight between Islam and the West; she suggested this was a conflict between a fractious, superior-minded ideology and political pluralism. The attacks in Copenhagen took place on Saturday. The targets appear carefully planned: an arts centre that hosted an event by controversial artist Lars Vilks (the subject was blasphemy and freedom of speech), and a synagogue. In both locations, one person was killed. The gunman was subsequently hunted down by Copenhagen police and killed in the early hours of Sunday morning. What can one say about these events? Being so close to last month’s attacks in France (in both content and timing) means that Europe and the world are again on high alert against Muslims. People are rushing for the usual terms again- the same heroes, the same villains. Once again, Islam is the target. Once again freedom of speech is being vigorously defended; once again the Koran is vilified. To the present author, it seems that Prime Minister Schmidt’s comments are probably the closest approximation of what’s actually happening here; this does seem to be a philosophy of superiority and absolutism vs. political pluralism. It also seems very likely that the religious motivations for the killings haven’t been properly analysed by the media; no, this isn’t mainstream Islam nor is it the way most Muslims experience their religion. But it is not totally disconnected from Islam either. Gary Younge of the Guardian made this point very well last month. So the analysis is up to us- what is actually going on here? People have been killed, tortured- countries ruined under the terms of a black/white dichotomy- a dichotomy that is far from being obviously the case. What’s more, you can be sure the dichotomy will continue to deepen- Scandinavian right-wingers have been crying out for ammunition against Islam and multiculturalism since Anders Breivik was jailed. Now they have it. It’s up to us to try to shape the debate wherever we can in a way that stresses the strangeness of the situation- the underlying social anomie of the killers, the propensity of our media to promote freedom of speech as an absolute right- but above all, the innocence of the victims that get caught up in the violent tensions of an increasingly unpredictable conflict. Is there a method to their madness?